Blown, tulip-shaped Murano glass with a round gold foil accented foot. These unique and elegant glasses are perfect for wine or water service and set a lovely table. 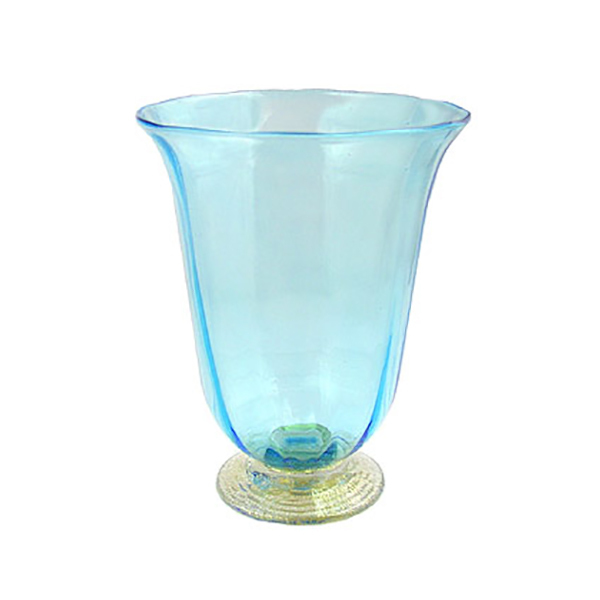 The color is a soft aqua and sits on a round foot of crystal clear glass and 24 karat gold. 8 ounces and 4 1/4 inches tall. Handmade in Murano, Italy.